Officials in Harris County, Texas, have confirmed that the Zika virus has been diagnosed in a traveler who recently returned from El Salvador to Houston. The virus has been suspected of causing a number of birth defects in Brazil, but experts are looking into exactly how it might be doing so. 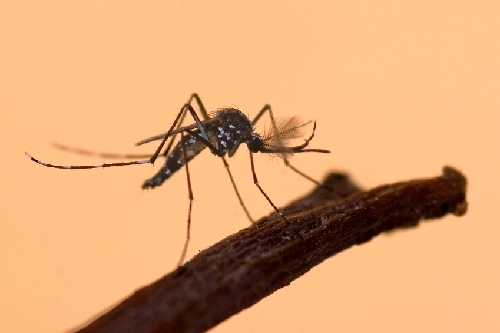 There is concern about the Aedes albopictus mosquito. This insect is known to carry the dengue virus, a relative of the Zika virus, and can survive in northern regions of the country where the climate isn’t as warm. There has been difficulty in properly diagnosing Zika as the symptoms are mild, but it has already ravaged Brazil and is spreading across Latin America. There have been a number of confirmed cases in Mexico, and officials there are attempting to gather accurate figures to better understand how deep the infection rate truly is. According to Hotez, since the virus is unusual and produces “low-level symptoms,” a city may not know it has an outbreak until nine months later, when infants are born with microcephaly. Microcephaly is a condition that causes infants to be born with heads and brains smaller than the average size. Microcephaly can be caused by genetics as well as environmental factors. Since there’s no treatment for it, early intervention is imperative to improving a child’s quality of life. The condition is marked by a child’s head size being significantly smaller compared to other children in the same age group—but children with severe cases of the condition could also have sloped foreheads. Microcephaly patients can develop in the same way as their peers, but complications can arise, such as speech delays, mental retardation, seizures and hyperactivity. In terms of diagnosis, a doctor will measure the circumference of the child’s head and compare it with a growth chart (the head circumference would also be measured at future visits). The average number of yearly microcephaly cases in Brazil has been about 150, but the number has now skyrocketed to 4,000. There is currently no vaccine or cure for Zika.Officials are cautioning travelers, particularly pregnant women, to take extra precaution in regions where the virus is active. Doctors Health Press first reported on Zika spreading across South America and the Caribbean back in November. Fox, M., “Zika Virus Has Come to America … Sort Of,” NBC News web site, January 12, 2016; http://www.nbcnews.com/health/health-news/zika-virus-has-come-america-sort-n494731.